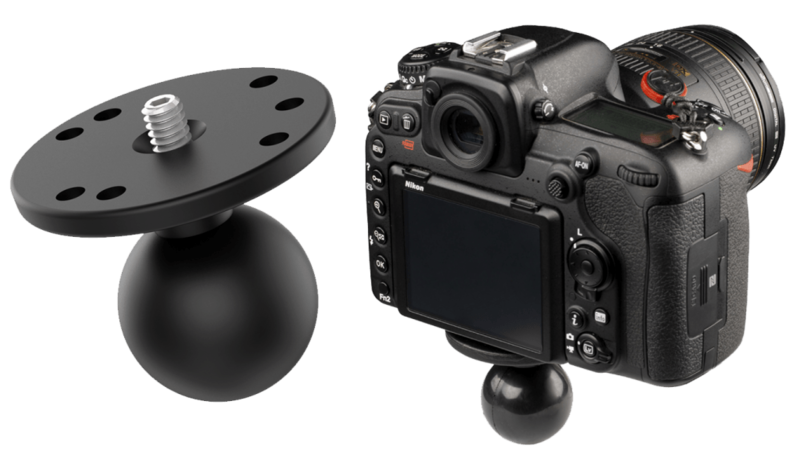 You may be familiar with RAM Mounts and their suitability for improving your car setup, motorcycle setup and more - but did you know how they can be used to enhance your photography setup? RAM make thousands of different components, and over time we’ve seen many photographers, camera-operators and more from the entertainment industry develop an array of different creative uses for DSLR, mirrorless, and action cameras (such as the GoPro). Below are 4 RAM Mounts that each and every photographer should put in their camera bag. Looking at you, Canon, Nikon, or Sony camera operators. Most modern DSLR cameras include a 1/4″ thread connection, and with one of our RAM 1/4" Threaded Camera Adapters (below) you can make your DSLR compatible with a wide range of RAM Mounts and components. For smaller cameras, the B size option will suit you fine. However if your camera is a little on the heavier side, or if you're using it in more demanding circumstances – consider the C size option. Despite already being popular with motorcycles, ATVs, forklifts and wheelchairs - the RAM Tough-Claw™ is a perfect travel companion for photographers. Ever found yourself without a tripod? Well, we're sure you have. Anyway, when you're just needing that extra stability for your camera, simply use one of these Tough-Claw clamping mounts. Just twisting the knob will ensure your grip is tight, whether on round, square, or oddly-shaped rails and bars. 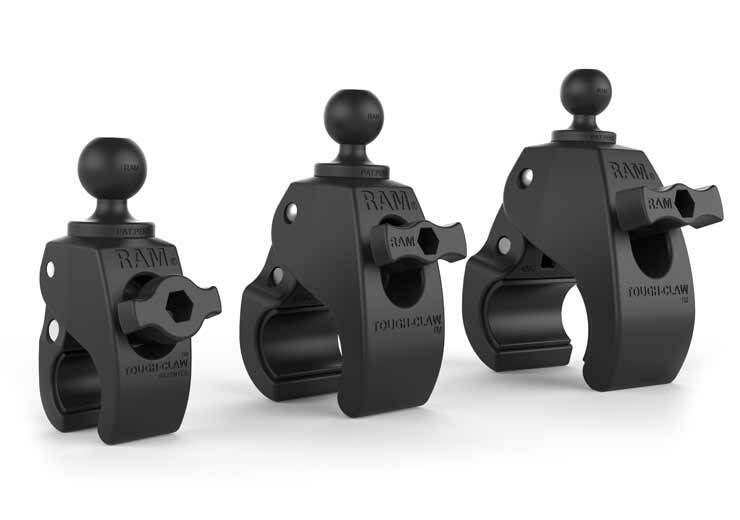 The RAM Tough-Claw™ is sold in small, medium, and large versions, and with various size ball adapters. For action camera users, our 14" or 24" poles can create more interesting perspectives in nearly any use case. Thinking of going bush? Then you'll want to bring the RAM Tough-Tap™ mount. 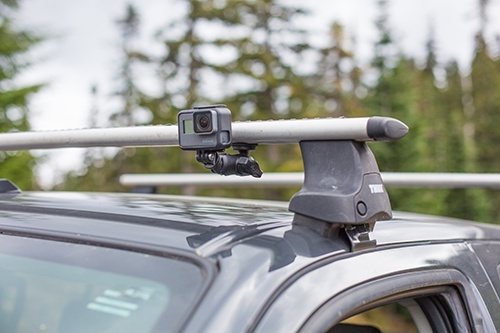 Whether it's mounting your Phone, GoPro or other camera to a tree (to catch yourself some footage of Drop Bears or Bigfoot), or mounting your favourite lighting accessory while out in the forest (such as the Lumecube), the RAM Tough-Tap™ mount has you covered. For nature and wildlife photographers - or even portrait photographers operating in a unique setting - this is an ideal solution for getting that perfect angle or unique lighting. And don't worry - you're not going to hurt the tree. The screw attached is simply too small to leave any damage. When it comes to action cameras, nothing accompanies them better than RAM Mounts and their vibration-dampening technology. You can achieve amazing camera angles and perspectives while getting minimal to zero shake, depending on the situation. The RAM Action Camera adapter will allow you to utilise RAM arms, extensions, and a wide variety of mounting bases, such as the Suction Cup Range the RAM Tough-Claw™. So if you’re 4x4ing, mountain biking, piloting a plane, paddle boarding, fishing, there’s a RAM® mounting setup for you.